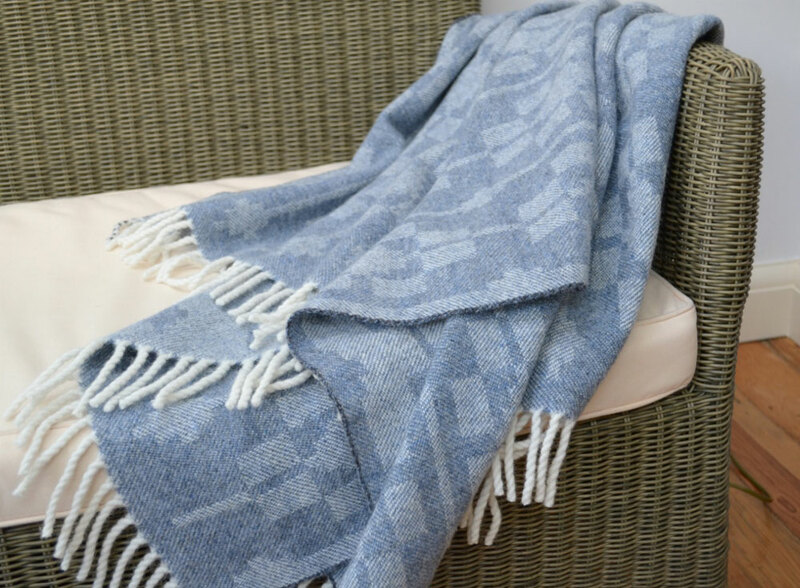 This beautiful, cosy and warm throw has been designed, handwoven and finished by Madeleine Jude, using the best quality Scottish lambswool. 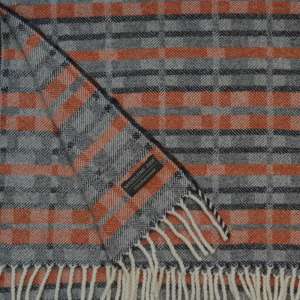 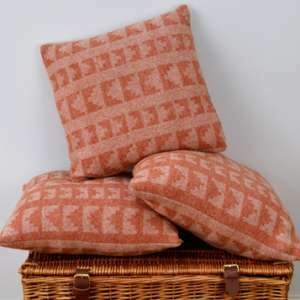 Part of the ‘Dukagang ‘ range, the pattern is inspired by old Scandinavian textiles, The weave is a reversing three shaft twill which gives the reverse colourway on the other side. 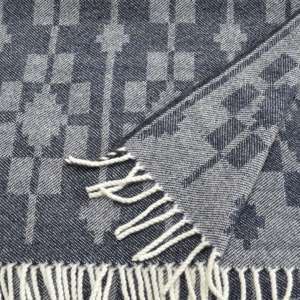 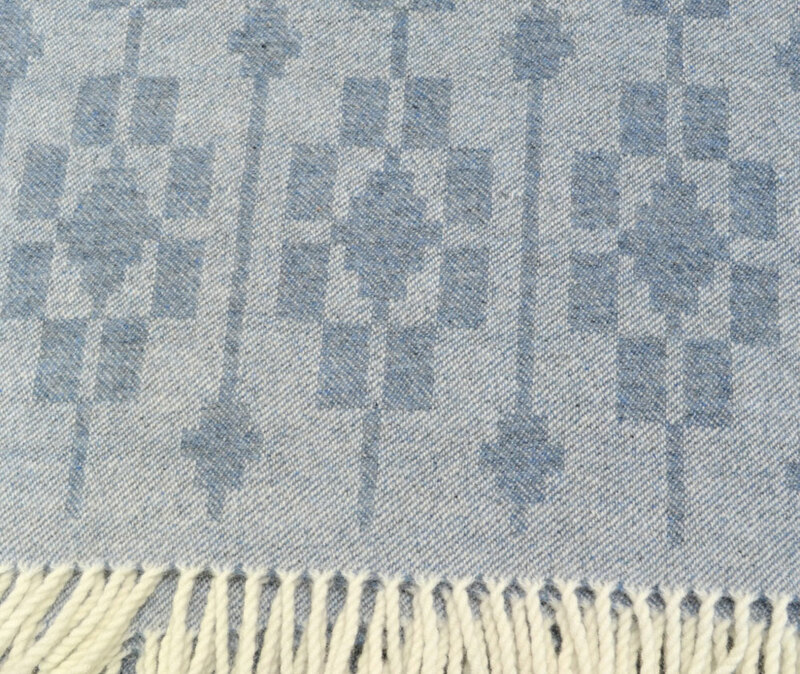 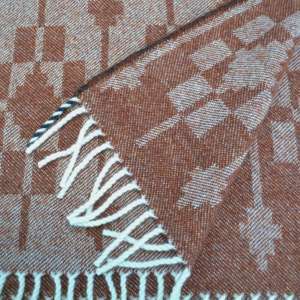 Each throw has been woven and finished by hand, the fringes hand twisted, and the throw carefully washed and lightly brushed to full the cloth, making the throw wonderfully drapey and soft. 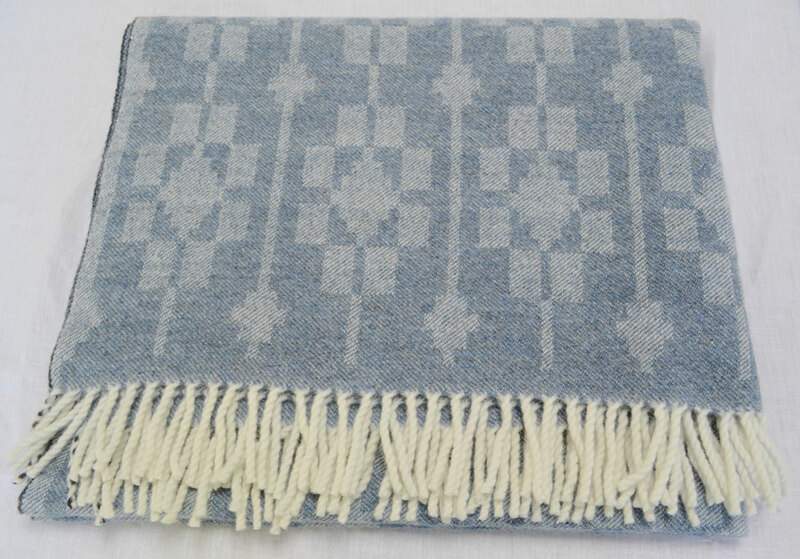 I am absolutely over the moon with this throw- just gorgeous and beautifully crafted. 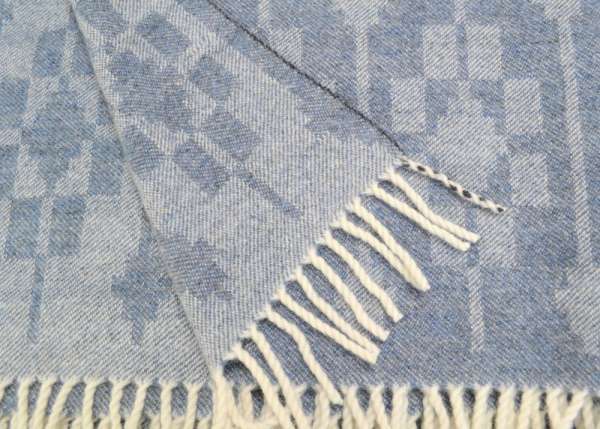 Madeline was incredible and managed to create a new one for me at short notice and even asked if I had an special preference for the fringe finish. Attention to detail, communication and speed of delivery are faultless.